The Eastdoc service is for urgent cases which can’t wait to be seen by your GP within regular opening times. The phone number above must be contacted firstly, as Eastdoc is not a walk-in service. Eastdoc is provided by a pool of 70 local GPs for all of their patients, including Slievemore General Practice. It is based on the grounds of St. Vincent’s Hospital, next to the BreastCheck Building adjacent to the Merrion Road. The Doctor-on-Duty provision is a 24 hours, 7 days a week, private medical service for house-calls, if needed. After contacting this number, you will be given an approximate time for the house-call. 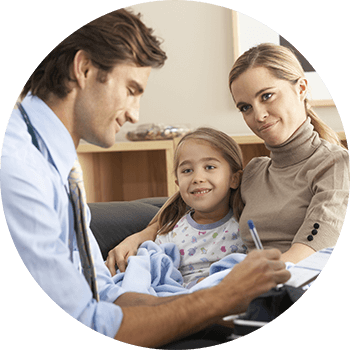 Your GP will be subsequently informed by the service provider, with regard to the diagnosis and the care provided.